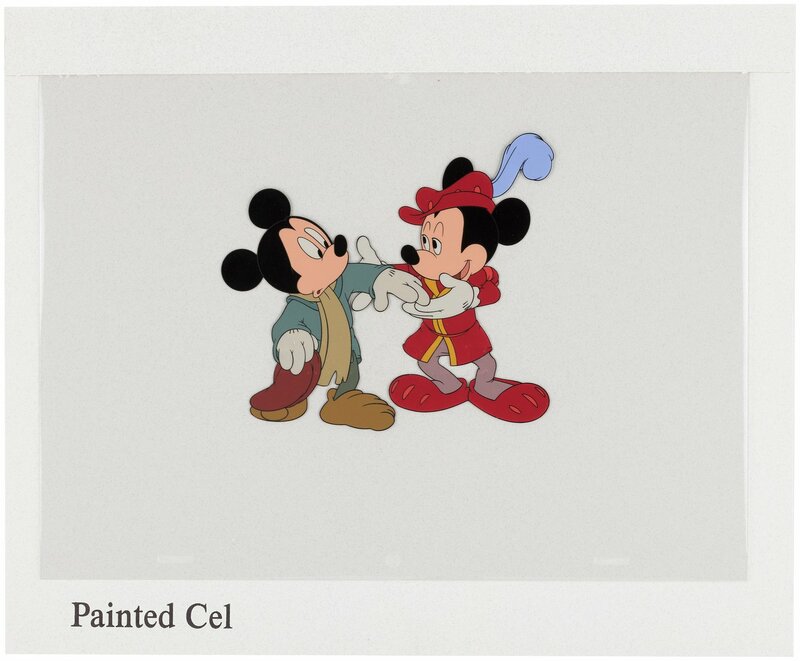 This is a cel from one of my scenes from Disney's 1990 featurette The Prince & the Pauper. I remember working very hard to distinguish the TWO Mickeys. One is a prince, one is a pauper. Same look, different personalities and behavior. I tried to portray the Pauper with submissive acting, while the Prince is confident and in charge. He's the authority. This turned out to be a fun assignment, even though the film's overall story is somewhat scattered. Thinking back, I just remember how much I enjoyed animating Mickey Mouse.